The Samsung Galaxy S8 is one of the best phones we've seen in all of history, there's no doubt about that. Its power and design are guarantors of a good day-to-day experience. Although, put to ask, we may have missed a better location of the fingerprint reader. 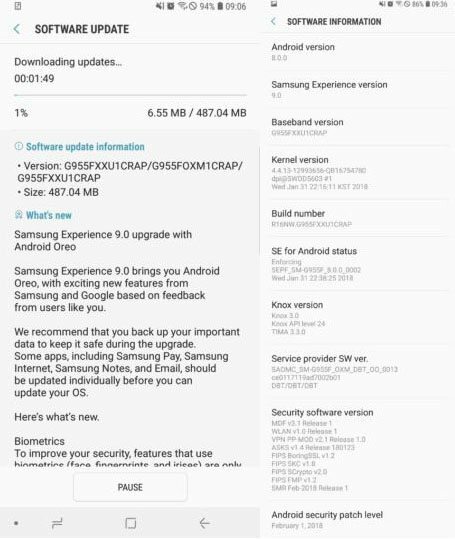 But, finally after a long testing of Android Oreo update for the Galaxy S8+ smartphones and a week wait afterwards, Samsung has finally starting rolling the Android 8.0 Oreo update to the beta testers of the Oreo update in Germany for both the flagship Samsung S series devices Galaxy S8 and S8+. The Korean giant will roll out the update to the non-beta testers of the update after 24 hrs of its roll out to the beta testers. The stable update is currently seeding to the Galaxy S8 and S8+ units in Germany and will be available in other regions in the next few hours. This update weighs 487 MB and comes with the security patch of this month of February 2018, which is quite appreciated in terms of security. And, as is evident, the update will bring all the advantages of Android Oreo to the star terminal of the Korean company. This update, has started in Germany, but it is expected that it will reach more Samsung devices in different markets within next few hours. What is clear is that the update to Android Oreo is already here, and, if you have a Samsung Galaxy S8 or Samsung Galaxy S8 +, having the latest version of Android on your terminal is only a matter of time. According to the previous leaks, the update will be available for different Samsung Galaxy devices including the newer unreleased devices like Galaxy C10, Galaxy A7 (2018), Galaxy A5 (2018), Galaxy A3 (2018) that will be launched with Android 8.0 Oreo OS pre-installed. 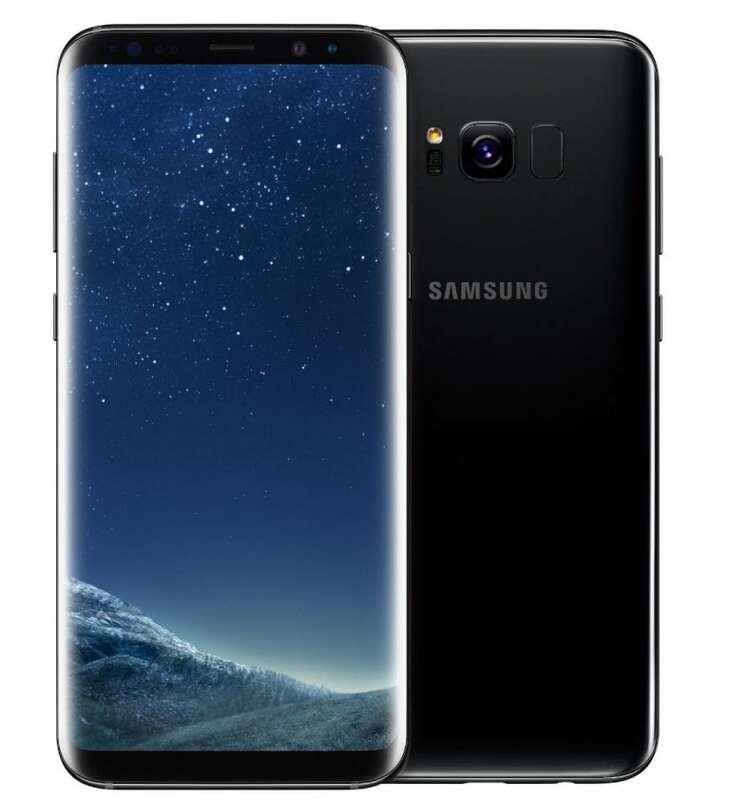 Other devices in the list are Galaxy S8, S8+, Galaxy S7, S7 edge, Galaxy S6, S6 edge, Galaxy S6 edge+, Galaxy Note8, Galaxy Note7 (FE), Galaxy Note5, Galaxy A7 (2017), Galaxy A5 (2017), Galaxy A3 (2017), Galaxy A9 pro (2016), Galaxy A8 (2016), Galaxy On max, Galaxy Tab S3, Galaxy Tab S2, Galaxy Tab A (2017), Galaxy Tab A (2016), Galaxy Tab active 2, Galaxy J7 (2016), Galaxy J7 pro, Galaxy J5 pro, Galaxy J7+, Galaxy J7 max, Galaxy J7 prime, Galaxy J7 core, Galaxy C9 pro, Galaxy C7 pro, Galaxy C5 pro and the Galaxy C7.